One of the first really serious purchases that I made at my first Pennsic was a pair of period shoes. They were simple ghillies, from Medieval Mocassins, and yes I still own them over twenty years later. They have been cleaned and oiled a zillion times, but they are still an important part of my regular event wear. They look just like the pair that I am wearing today, except they are a dark brown. The only problem is, my feet don’t like them any more. After 64 years of pounding the dirt, my feet like, yes I might even say demand, a cushier sole and an arch support in order to be really happy with me. As a person who often does a fair amount of mileage in my shoes, often over rocky ground, and who often stands for hours while running a shop, this became a real problem. I tried cushier socks, which helped a little, but only a little. When I found myself barely able to walk after a long day in the shop, in knew I had to figure out a better solution. My first serious try at making my feet happier was a pair of Dr. Sholl’s gel inserts. I had considered getting a pair of felt insoles at an event, but I managed to forget to buy them, so I settled for a modern alternative. Cutting them to fit my shoes was a bit of a pain, but after several tries I was able to make them fit properly. Suddenly a day on my feet became much more tolerable. The biggest problem that I ran into was that it made my shoes, at least my Viking ankle boots, too small to wear socks. This wasn’t all that big a deal at warm events, but at cold events, where socks were an integral part of my warmth and comfort, it was a problem. On a couple of occasions my feet were so cold that the only way I could warm them up was to put a foot warmer in each of my wool socks when I went to bed. Fast forward a couple of years. I was wandering through the pharmacy section of a big box store on the way to an event, and I ran across the “foot” department. I had just been thinking about the fact that the gel insoles in my work boots were pretty much shot, when I saw the selection of new insoles. The ones that really caught my eye advertised that they had arch supports AND a heel pad. I thought about it for about 30 seconds, and bought them. As soon as I got out to the event site I pulled off my boots, pulled out the very warn gel soles, inserted the new insoles, and tried them on. Heaven! And even better, no trimming the insoles, AND they fit perfectly in my ghillies! I have currently been on my feet for days and my feet are loving it. So my next plan is to acquire several more pairs of these insoles and update my period shoes! My new favorite inserts are Dr. Scholl’s PRO (pain relief orthotics). I bought the arch ones, because I REALLY need arches in my shoes. The thought that I can go back to wearing my period shoes on a regular basis is AWESOME! If you have given up wearing your period shoes for comfort reasons, you may be a set of insoles away from once again being a fashionista! 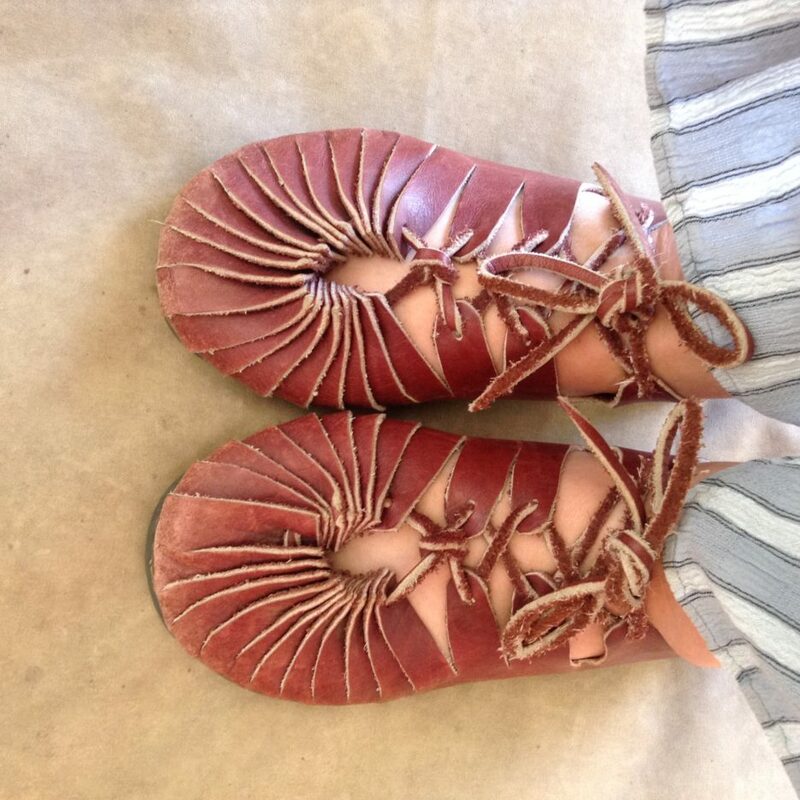 This entry was posted in Camping, SCA Life and tagged Insoles for period shoes, period shoes by Eirny. Bookmark the permalink.